There’s been a lot of chatter about the new Star Wars: The Force Awakens trailer which LucasFilm and Disney unleashed upon the world this Thanksgiving weekend. Some people thought the 88-second trailer was too short, didn’t reveal enough, and didn’t awaken the hype quite the way they’d hoped. Star Wars fans were amazed when it was revealed the space saga would return for a third series in 2015 – but it seems it wasn’t a surprise to everyone. 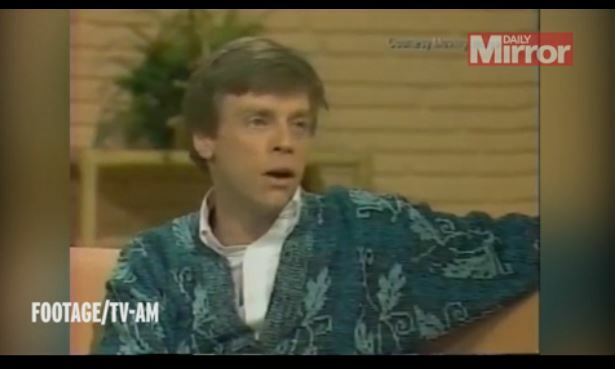 In this amazing clip from 1983, Mark Hamill – who played Luke Skywalker in the original trilogy and will reprise the role in The Force Awakens next year – revealed George Lucas had already asked him if he’d consider returning to the franchise. While that’s strange enough, it gets weirder when the actor, now 63, said that the filmmaker’s predicted time line for him taking on the part again was 2011 – only four years before the new movie will hit the big screen. Details for the story are still being kept under wraps – although the first trailer is set to debut in the US on Friday – but it seems 30 years ago there were plans for Luke to take over Obi-Wan Kenobi’s guardian role. Click here to see the video interview. 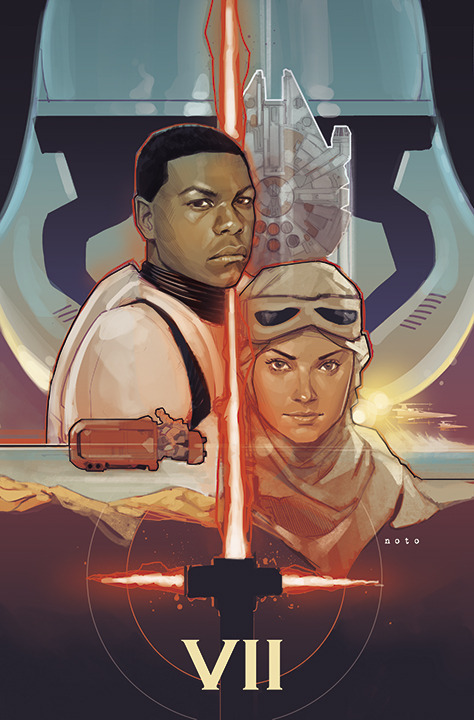 Phil Noto uploaded a very cool new design to his website, philnoto.tumblr.com, click below to check it out in full size! 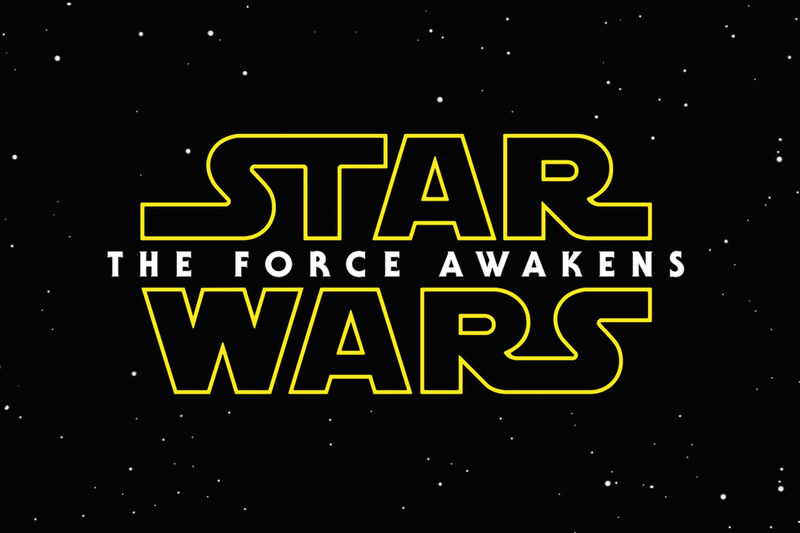 The official teaser trailer for Star Wars: The Force Awakens was released this morning via iTunes Movie Trailers. Check out the video below or follow the link, here. What are your initial thoughts of the trailer? Share your excitement with us on Twitter at @arybak89 and @YodasNews. In the winter of 1979-1980 I was 10 years old and living in suburban Long Island, where I filled my time being depressed about the New York Mets and eagerly awaiting the next Star Wars movie. Back then, the movie on deck was The Empire Strikes Back — the cultural earthquake that would change Star Wars from a story into a saga, from a thrilling Flash Gordon homage to a family saga with mythological overtones. But my friends and I didn’t know any of that. All we had were rumors that had filtered down to us, supplemented by our own wild imaginings and a tiny amount of actual information. Back then the Internet barely existed; the Star Wars-mad children of Long Island got their information from reading Starlog and Famous Monsters in the drug store until the guy behind the counter yelled that he wasn’t running a lending library, at which point you’d ask your mom to buy the magazine and she’d say no. So a lot of the intelligence we received was from classmates who’d snuck a peek at a magazine…or claimed they had. More on that in a minute. Click here or below to read the full article. Who Thought Of The Force Awakens? It’s safe to say that Star Wars: The Force Awakens hasn’t been the most popular film title to ever be unveiled. In fact, the response to its announcement was rather tepid. While it hasn’t been roundly chastised, it hasn’t exactly been celebrated either. But who came up with it? Disney CEO Bob Iger has the answer. I bet they can’t wait for it to come out. Star Wars: The Force Awakens promises to be one of the highest grossing movies of 201,5 and it will almost certainly once again line the pockets of all of the folks at Disney and Lucasfilm . I know I’m going out on a limb by saying that Star Wars: The Force Awakens might make a few bucks, but trust me – I think it might. Meanwhile, any criticism over the name for Star Wars 7 is rather silly. In the end, a title can’t make or break a film. Yes in some instances it can help to sell an unknown release to a wider audience – I’m looking at you Snakes On A Plane and The Assassination Of Jesse James By The Coward Robert Ford – but if a film is either sensational or diabolical the blame can’t be put on its title. That’s just preposterous. As I noted in my pre-amble, though, the reaction to the unveiling of The Force Awakens was, as my good friend Bill Shakespeare used to say, much ado about nothing. Which is probably because there’s not much else you can say about it. Yes, it’s a tad hokey and on the nose in reference to the rebirth of the franchise, but it also warns us about the impending change and conflict that is expected to permeate throughout the rejuvenated saga. Other than that; it is what it is. └ Tags: Who Thought Of The Force Awakens? Disney made it official – the eagerly awaited new Star Wars film will be called Star Wars: The Force Awakens. And naturally, just like anything to do with the secretive seventh film, the title has prompted fervent reaction from fans of the long-running sci-fi franchise. But whether you love the title or hate it, you can always rely on Twitter to reduce you to a fit of giggles with its creative reaction to the new name. Did ‘Rebels’ Just Set Up An ‘Episode VII’ Character? Well, the new episode of “Star Wars Rebels” did that in a big obvious way with one of the Stormtrooper recruits that Ezra met while undercover. At the very, very least, I think it’s safe to say that we will be seeing more of Leonis over the course of “Star Wars Rebels.” A friend inside the Stormtrooper academy is going to be indispensable to a team looking to foil all of the Empire’s plans. So in that case, the possibilities for Leonis going forward are pretty much endless, and it will be exciting going forward to see what kind of trouble he gets up to while embedded in the academy. But as with all things “Star Wars,” there’s already a fan theory growing in popularity since Leonis made his big debut. Click here or below to read the full article. Article may have Episode VII Spoilers. └ Tags: Did ‘Rebels’ Just Set Up An ‘Episode VII’ Character? Episode VII Has A Title!! Starwars.com posted today that Episode VII has finished principal photography and reveled the title– Star Wars The Force Awakens. └ Tags: Episode VII Has A Title!! The 1993 announcement that George Lucas was developing the long-awaited prequel Star Wars trilogy created a frenzy among Star Wars fans. The story of Darth Vader’s rise to power was the subject of much speculation, as was the anticipated dual between Anakin Skywalker and Obi-Wan Kenobi. The prequels would not only answer many questions for fans, but would introduce a new generation of moviegoers to Star Wars. Only it didn’t quite happen that way. Not as far as the fans were concerned. When the first of the prequels was released in 1999, audiences turned out in droves. But it didn’t take long for the fan base to start taking shots at it. The movie received mixed reviews and is to this day the lowest rated film in the series. The perceived sins committed by Lucas in Episode I were carried over across both its sequels. Since that time, the much-maligned Star Wars prequel trilogy has been the subject of much rancor and debate. 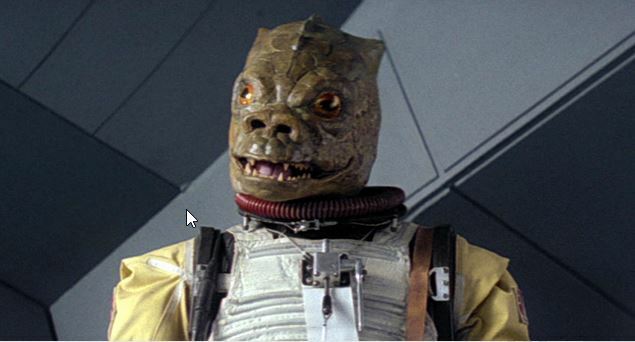 Cameos in a beloved film franchise like Star Wars are pretty difficult to gauge properly. You want to toss in a few to reward the fans who have stuck around, but at the same time you risk turning your movie into a farce if you have too many. After all, your typical film narrative can only support so many blatantly shoe-horned appearances before it collapses completely under the sheer weight of nostalgia. On the other hand, there are a dozen or so Star Wars characters that we would love to see show up in the impending trilogy. As a collective, Star Wars fans have suffered grievously at the hands of George Lucas. First there was the dire Christmas special, that even Lucas himself was ashamed of. There there was the series of edited releases that featured questionable cuts only serving to further distance us from the movies we loved. The decision to make a film about a trade blockade rather than an exciting space fantasy, all of the dialogue between Anakin and Padme, the entire existence of Jar Jar Binks…the point we’re trying to make is that Lucas owes us, big time. The least he could do is try to recreate some of the magic we felt back in the day by bringing some of the most of the most interesting characters from the classic and prequel movies into these new films. └ Tags: Will Warwick Davis Appear in Star Wars: Episode VII? With a large chunk of recent Marvel titles having been shot in London and Star Wars: Episode VII still in production at Pinewood Studios, Walt Disney expanded its growing presence in the U.K. capital further on Wednesday with the opening of Industrial Light & Magic’s local studio. The new London base for the visual effects arm of the conglomerate’s Lucasfilm, located in the British capital’s Soho neighborhood, was officially opened on Wednesday night with a ceremony attended by Lucasfilm president Kathleen Kennedy, Industrial Light & Magic president and general manager Lynwen Brennan, U.K. chancellor George Osborne and U.K. culture secretary Ed Vaizey. According to ILM London’s director of operations Sue Lyster, the facility is already working on the effects for Avengers: Age of Ultron, Ant-Man and Star Wars: Episode VII. Speaking at the event, Kennedy recalled meeting U.K. government representatives in February last year to discuss filming the latest Star Wars in London, revealing that Disney was now just “three weeks off” finishing the film and hinting that further titles in the franchise would be shot in the city. “This continues a long tradition of Star Wars movies being made in London. It goes back to 1976, and to know that we are now coming back and we will be making the movies once again based out of Pinewood, and now we’re looking to put together this studio, it’s rather remarkable that this has all come together in less than two years,” she said. Among new local hires are Academy Award- and BAFTA-winner Ben Morris, who joins ILM London as creative director from U.K.-based Framestore, where he worked on projects including War Horse, Lincoln, The Golden Compass and Gravity. Michael Eames, whose resume boasts four Harry Potter titles, is the studio’s animation director, while Kevin Jenkins is the art director and concept artist. In our discussion on how the Hollywood marketplace would be able to sustain the sheer amount of Marvel/DC superhero films coming out in the next handful of years, one aspect we detailed is that the various projects would be able to be viable propositions due to “comic book movies” being chameleon-like in their ability to showcase multiple genres. Marvel Studios, for example, has illustrated this concept this year with Captain America: The Winter Soldier and Guardians of the Galaxy both blending different types of stories to supplement the super-powered action (political thriller and space opera, respectively). As it turns out, Marvel won’t be the only studio using this filmmaking strategy. Their Disney brethren Lucasfilm is also interested in seeing how the galaxy far, far away can be used to span multiple genres, as the Mouse House looks to bring the franchise back into the spotlight next December with Star Wars: Episode VII. 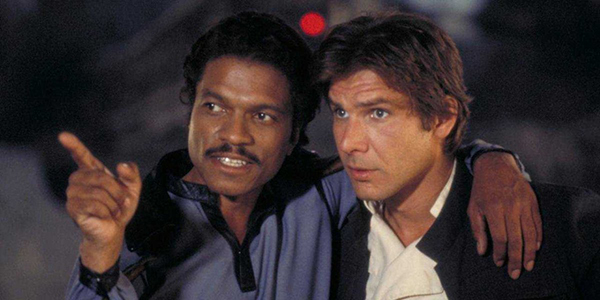 The Star Wars: Episode VII rumors continue to roll in, and we have a couple of interesting ones for you to read today. These are just rumors for now, but as with everything that has leaked, it is possible that some of it is true, so I will throw out a SPOILER warning just in case. Included in this batch of rumors are some screenshots of some possible leaked footage from the movie. I’m enjoy reading this stuff. It gets me excited about the movie, and I enjoy discussing these things with my friends. I know rumors like this aren’t for everybody, but there are a lot of fanboys and fangirls out there like me, which is why I post them. Director David Fincher is loved by cinephiles (including yours truly), and has an iconic lineup of films on his resume, which include Fight Club, Se7en, The Social Network and Girl With the Dragon Tattoo. Fans of mystery/thrillers also tend to have special reverence for Fincher’s Zodiac, and are therefore probably eager to see his new film, Gone Girl. However, while out promoting Gone Girl, Fincher has been talking about other happenings in his career – which has understandably brushed up against big blockbuster undertakings like the current mega-universe franchises like DC/Marvel superheroes and more specifically, Star Wars. Apparently, there was a possibility that we could’ve seen David Fincher’s Star Wars Episode VII instead of J.J. Abrams’. The 1977 version of Star Wars grossed $307.2 million at the domestic box office and scored 10 Oscar nominations, including Best Picture and Best Director. However, as fans of the galaxy far, far away know all to well, that original theatrical cut isn’t the only edition of the movie that exists. Going back to 1981 (when George Lucas added the A New Hope subtitle to the text crawl), the creator of the iconic sci-fi franchise has constantly been going back and making alterations to certain scenes, allegedly so the trilogy plays more in line with his original vision. He celebrated the 20th anniversary of the first film by releasing the “special editions” in 1997, and in every home media release since (2004 DVDs, 2011 Blu-rays) more changes have been incorporated. What makes fans of Star Wars really upset isn’t that Greedo shoots first or Darth Vader now says “NO!” before saving Luke from the Emperor. That’s part of it, sure, but the fact that Lucas has basically eliminated the theatrical versions from existence is seen by many as the greater sin. Those cuts were available as bonus features during a limited edition 2006 DVD release of the trilogy, but they were ripped from the laser discs, non-anthromorphic, and clearly could have been of higher quality. But fans aren’t the only ones who wish Lucas had just let it be. Actor Oscar Isaac, who has an unspecified role in the upcoming Star Wars: Episode VII, said in an interview with The Huffington Post that he wishes the changes were never made. J.J. Abrams is hard at work on his latest film, a little indie project called Star Wars: Episode VII, and fans of the galaxy far, far away haven’t had many official details to chew on to this point. Despite Lucasfilm president Kathleen Kennedy stating that the production wouldn’t be clouded in secrecy, Abrams has done a solid job of keeping his infamous mystery box locked. A few leaked set images have shown non-spoilery specifics such as the models being used for the spaceships, but most of the meaty stuff is just rumor for now. Today’s update on the Return of the Jedi followup won’t satisfy those looking for thorough information on the story beats the filmmakers are looking to cover, but like most of the unofficial reveals so far, it will provide moviegoers with some more food for thought as they imagine the twists and turns Abrams will take us on come December 2015. It’s been nearly two years since Disney acquired Lucasfilm and set in motion an entire new chapter for the Star Wars universe – and streamlined the official canon storyline. In the months following, speculation ran rampant: Who would direct Episode 7? Which young actors would be considered for starring roles? Would original cast members Mark Hamill, Harrison Ford, and Carrie Fisher return? While we have answers to many of those questions – plenty more remain. J.J. Abrams is in the director’s chair, Adam Driver, Daisy Ridley, John Boyega, as well as Oscar Isaac have been tapped for lead roles, and Hamill, Ford, and Fisher are set to reprise their roles as Luke, Han, and Leia – but we still know very little about the larger Episode 7 plot (not to mention how it will compare to the original film trilogy). If the leaks about “Star Wars 7” turn out to be true, there will be five villains featured in the movie. Two of the villains are from the original trilogy and two villains will be new additions. One character may be turning to the dark side towards the end of the movie. Spoiler Alert! Click here or below to read the full article.